Little is known about William Anderson’s artistic training before 1787, when he moved from Scotland to London and exhibited several paintings at the Royal Academy. His style shows the influence of the Dutch masters, and like them he sometimes painted on wood panel to create the smoothest possible surface. 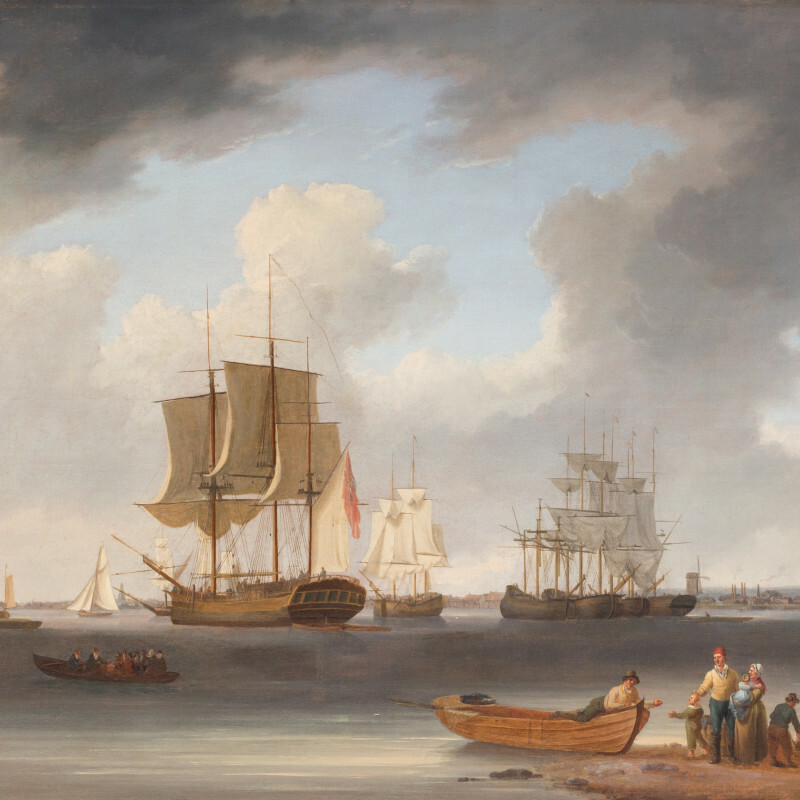 He collaborated with his friend Julius Caesar Ibbetson (1759–1817) on many works, and is best known for his small marine paintings of ships in a calm.